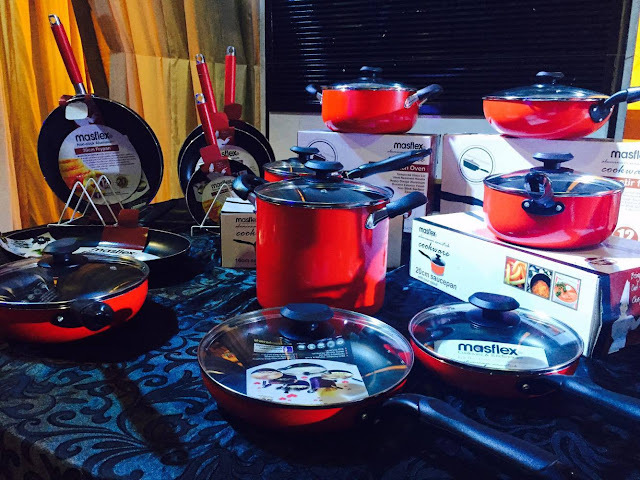 And for the past 25 years, MASFLEX has been innovating and has positioned itself not just as a cookware and kitchenware brand, but also developed houseware products. 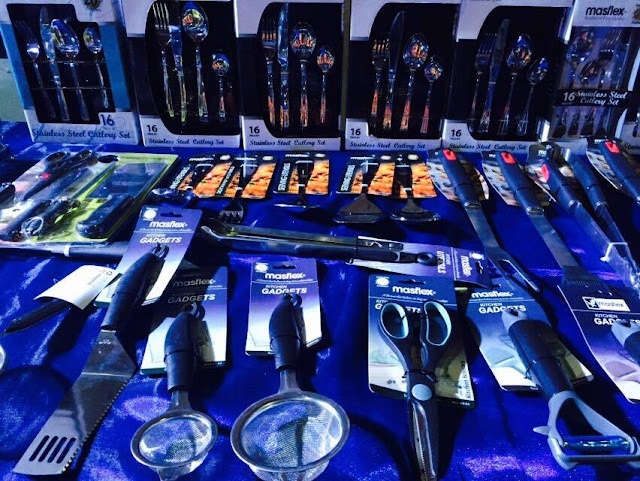 Not only does the brand cater to the needs of the market but it also brings forth new and innovative solutions in the cookware industry. 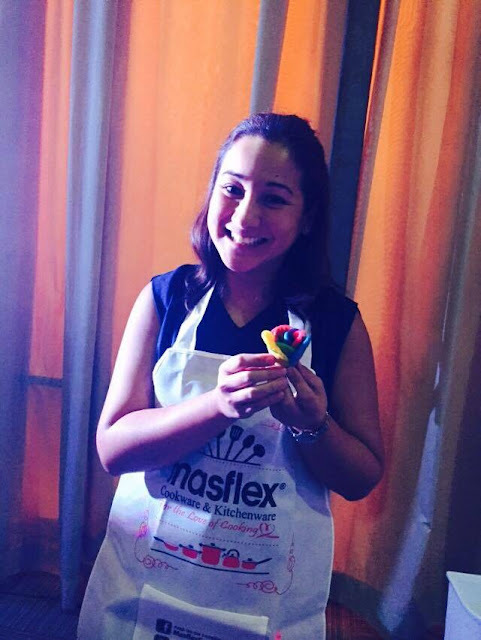 And because 25 years is such a milestone, MASFLEX is proud to introduce Ms. Nancy Reyes-Lumen as their first ambassador for the brand. 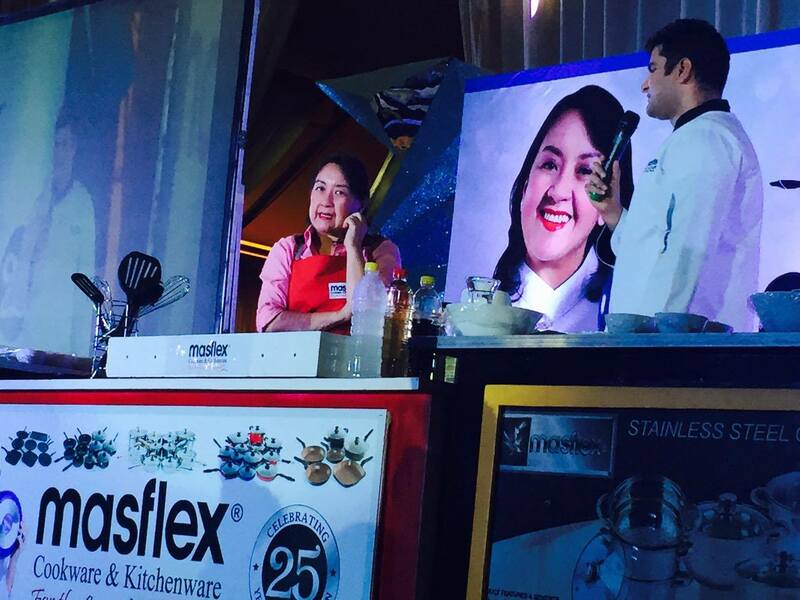 Ms. Lumen who is also known as the Adobo Queen, hails from the Reyes clan who is the most famous family name in the Filipino food industry. The bubbly Ms. Lumen has been a loyal user of Masflex cookware and kitchenware products so she fits the role of being the brand's ambassador as she already know the products. The event, which was held at the Le Pavilion in Pasay City brought together some of the culinary figures in the industry such as Chef Gene Gonzales, Ms. Nina Daza- Puyat of Appetite Magazine, as well as chefs, food brands, guests and family members of Masflex who all joined the 25 years festivities. 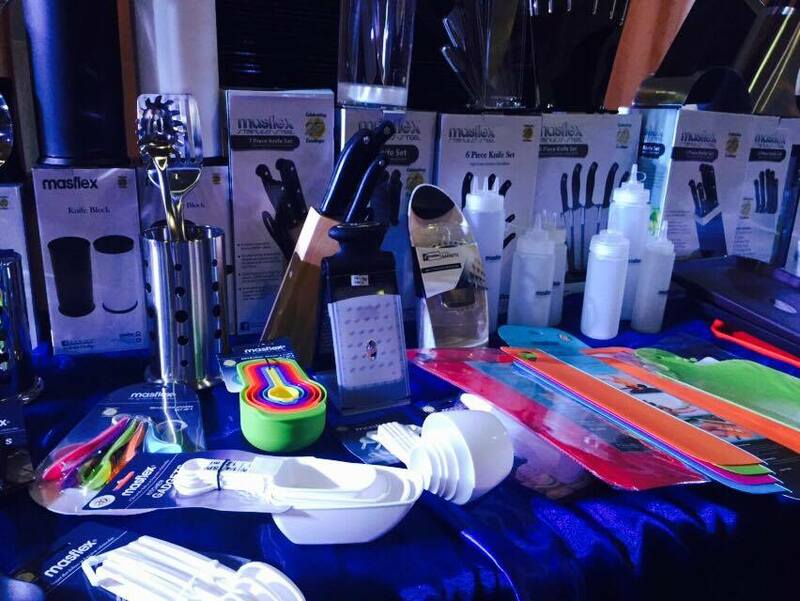 Displayed at the venue are the amazing and extensive array of different Masflex cookwares. Pictured below is the stainless steel series. And here are the Masflex kitchen tools. 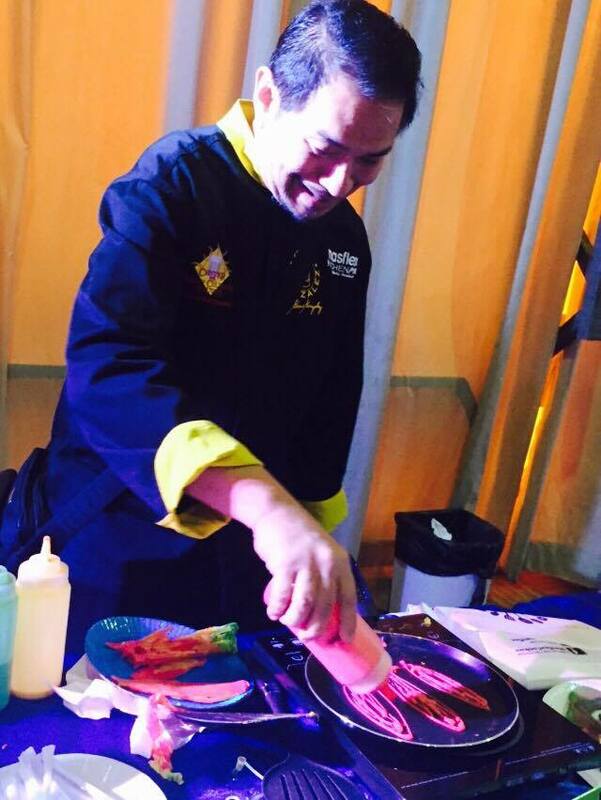 Here is Chef Gene making a pancake art. Chef China proudly shows her "flower" pancake. 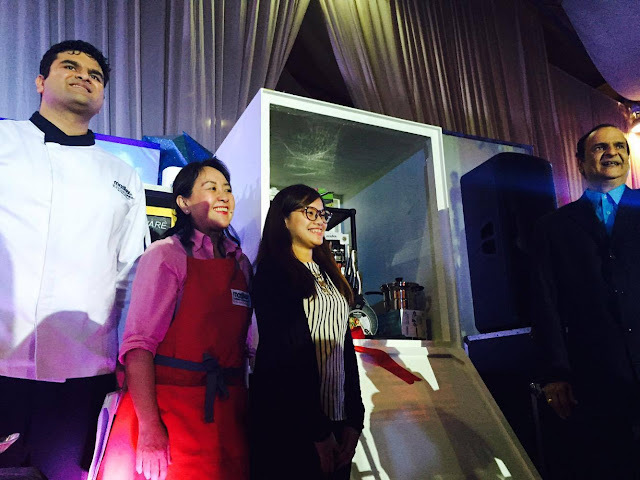 And because Masflex is such a generous brand, it raffled off 25 sets of cookware for the grand prize raffle and this lady beside Ms. Lumen is the lucky winner. 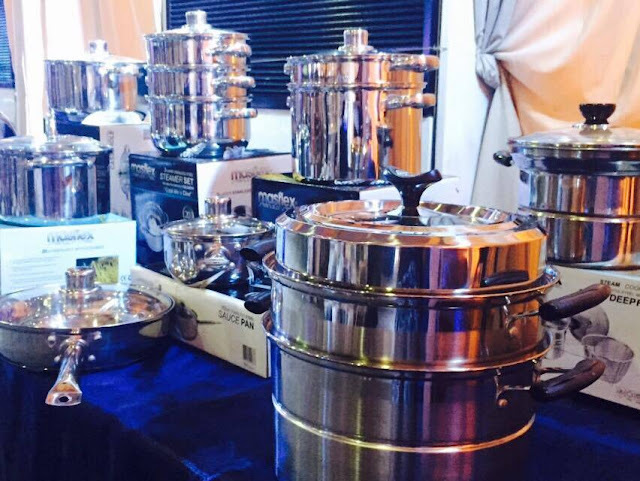 I'm sure she will whip up dishes after dishes of delicious food using Masflex cookware. And before the event officially ended, the guests were treated to a surprise number by Ms. Lumen, who belted out Dancing Queen and Build Me Up Buttercup. Watch video --- Buttercup. 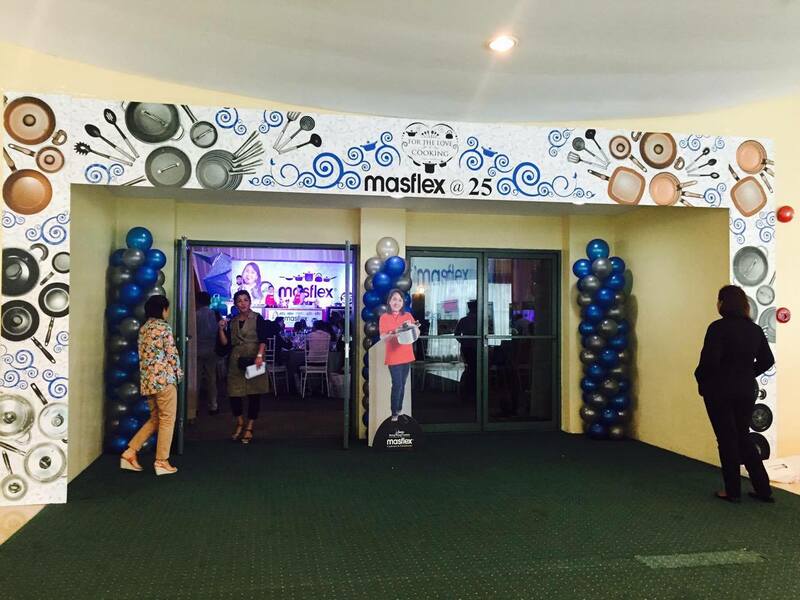 Congratulations again to MASFLEX and cheering you on to the next 25 years. Cheers!